Satiate your sweet cravings with the traditional pancake from Bengal (eastern state of India) that is made especially during the month of January. With winter comes savouries that are a speciality of the season. Keeping true to that spirit, here is how the humble Patishapta came into being. 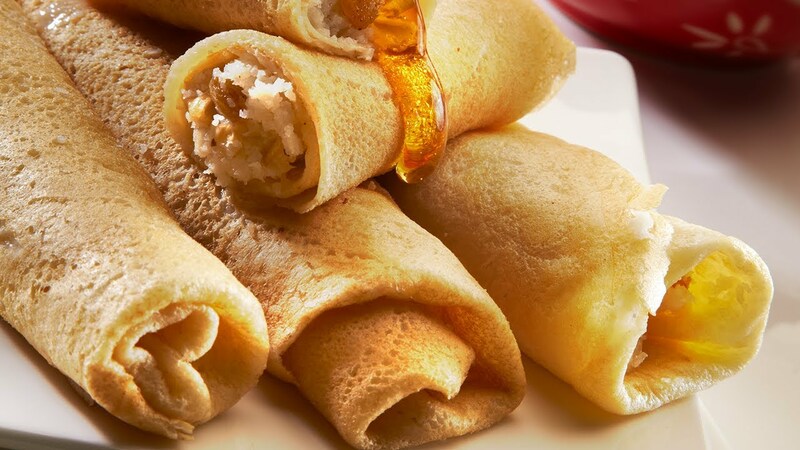 Patishapta is a type of traditional pancake or crepe that is popular in Bengali households as a special type of dessert prepared during the month of December-January which according to the Bengali calendar is the month of harvest. It is thin and made with refined flour, rice flour and semolina with coconut and jaggery stuffing. A celebratory dish during the festival of Poush Parbon, also referred to as Poush Sankranti or simply Sankranti, after the Bengali month of Poush during which Sankranti is celebrated, the art and tradition of making Patishapta have been passed on from the oldest family members. In West Bengal, Poush Parbon is celebrated as a harvest festival. The freshly harvested paddy and the syrup of date palm jaggery also called nolen gur or notun gur and patali gur (jaggery derived from the sap of the date palm tree) is used in the preparation of a variety of traditional Bengali sweets made with rice flour, coconut, milk and jaggery and known as ‘Pitha’. Patishapta is a type of Pitha although there are several other varieties to this dessert. All sections of society participate in a three-day festival that begins on the day before Sankranti and ends on the day after. The Goddess Lakshmi is usually worshipped on the day of Sankranti. First, mix the grated coconut, jaggery and crumbled khoya together. Place them in a heavy-bottomed pan or kadhai and on low heat cook the ingredients till the jaggery melts and then the mix becomes sticky. Add a little milk to the mixture to keep it from drying. Keep stirring the mixture to avoid lumps. Once it is sticky and brown in colour, turn off the heat and set aside. 1.Take maida, semolina and rice flour in a bowl. 2.Add milk. Mix it while making sure that there are no lumps. Let the mixture sit for half an hour. 3.Heat a non-stick pan and put a little oil. Now, once the oil starts simmering pour a thin layer of the mixture on it and spread it evenly with a ladle. 4.Put the filling lengthwise at the centre of it and roll it like an omelette. Wait until the colour is light brown. 5.Place it on the plate. Serve hot or cold. One may even put condensed milk for garnish.